T20 has always been considered a batsmen's game. But a close look at the results of leagues around the globe gives a clear idea about the importance of bowlers in the batsmen-dominated game. The batting-heavy teams with weak bowling lineups have hardly won any titles whereas the majority of title winners are either well balanced or have a lethal bowling attack. The defending champions started the 2018 season as a spin-heavy team with a handy pace attack. The pace attack did not have any established international nor Indian pacers. The likes of Lungi Ngidi and Mark Wood were relatively new to international cricket and so was Shardul Thakur. But the first match of the season saw Deepak Chahar trouble the likes of Rohit Sharma and Evin Lewis with the new ball. By the end of the tournament, Chahar was one of the best new-ball bowlers of the season. Lungi Ngidi was included in the XI midway of the tournament and he improved by leaps and bounds, excelling both with the new ball as well as at the death. Coming to the 2019 season, CSK released Mark Wood, who is currently in terrific form. And they bought back Mohit Sharma, the 2014 purple cap holder. Despite releasing Wood, who played only a single game last year, CSK holds a pretty strong pace attack. With the new ball, Deepak Chahar and Lungi Ngidi form a threatening pair capable of taking wickets in heaps as well as being miserly economical. Dwayne Bravo and Shane Watson, who might not bowl much this season, will have the middle and a little death bowling responsibilities. Mohit Sharma has grown into an experienced death bowler. Shardul Thakur, a hit the deck bowler, can be useful at any stage of the game. 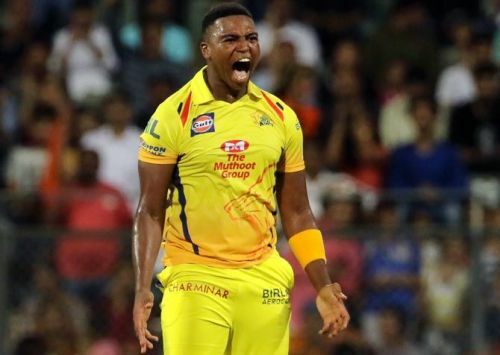 He has been a bit expensive at the death, but with Mohit Sharma back, CSK have options at the death with Ngidi and Mohit. Moreover, there is David Willey, who can be used to bring in more variety and KM Asif, whose express pace and bounce can be utilized based on situations. The pace attack for CSK looks much stronger this time as compared to the 2018 season, especially with the evolution of Chahar and Ngidi last season and the return of Mohit Sharma.